After graduating from Unitec Performing and Screen Arts in 1996 Anna was a founding member of Curve Dance Collective and was in works by Shona McCullough, Ann Dewey, Michael Parmenter and Mary Jane O’Reilly. Since 2001 Anna has been working in Europe as a dancer, teacher and choreographer. She has been teaching for professional dance companies and dance festivals, institutions and independent professional classes such as; SEAD-Salzburg, Tanzquartier Wien, Tanzhaus Zürich, k3 Hamburg, TanzFabrik Berlin, and CONdance Vienna. Anna has danced for Cie. Willi Dorner in Vienna, for Meg Stuart’s company Damaged Goods in Berlin, and for French choreographer Boris Charmatz and French Director Laurent Chétouane. Anna’s own work has toured to Austria, France, Germany, Spain, Italy and Romania. Her trio “with subtitles” premiered in “eXplore” Festival in Bucharest 09. 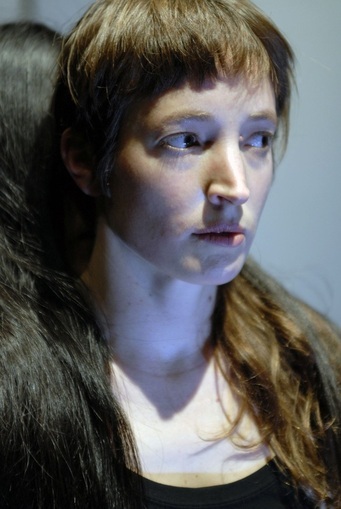 “with subtitles” was also presented in the last [8:tension]ImpulsTanz 2010 and most recently her new piece “LOUD ENOUGH” premiered in Vienna and in the “eXplore” Festival Bucharest in October 2011. Within the structure of floor work, body alignment and working with the strength of the body’s central core to initiate movement, this energetic training focuses on giving each person an individual experience. The use of visualisation stimulates the mind-body connection and integrates improvisation and an openess within set phrases of movement. A balance is given between challenging the body with its physical abilities and triggering the reflective mind to formulate questions and different perspectives around movement.